We are experts in some of the most common issues affecting period properties, such as timber rot, rising damp and waterproof tanking. We diligently design and fit kitchens that work around your family and create the foundation of your home. We can help you visualise a contemporary bathroom, or sympathetically update and recreate period elements of a bathroom already in your property. We work closely with our clients to create your perfect property, whether it's a professional office, commercial space or dream home. From contemporary new-builds to period property, interior design to exterior renovation, Deans Property Preservation has the experience and skill to deliver a property that meets your every need. With 35 years of experience building in both public and private sectors across London, we complete every build to the highest possible standard. From basement extensions to loft conversions, extra space to full refurbishments, we work alongside the best craft and tradespeople for the best quality finish. We manage your project from beginning to end, working on-site to ensure that no detail is overlooked. We act as your sole point of contact, managing a range of industry professionals on your behalf to ensure that your project runs smoothly and to schedule, and offers you the very best value for money. 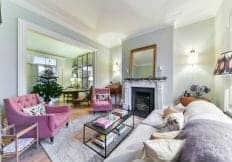 At Deans Property Preservation, we take pride in our meticulous approach, delivering the highest standard of refurbishment, restoration and extension of prime residential property throughout London. 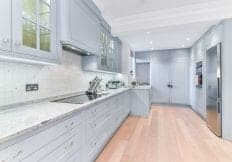 We have vast amounts of experience in refurbishing period properties across the capital, primarily working in the Islington and Hampstead area. We pride ourselves on our personal service and attention to detail, working closely with our clients to restore and create beautiful homes. With 35 years of experience, we work on buildings of all sizes and ages. 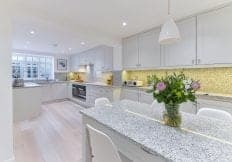 Over the years, our company has evolved to take on the design and build of contemporary kitchens, bathrooms and extensions, working in both residential and commercial settings. 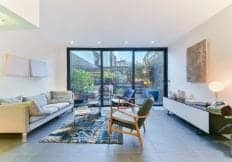 Deans Property Preservation Limited operates in and around London, primarily, but not exclusively working in the Islington and Hampstead area. © 2019 Deans Property Preservation Limited. All rights reserved. Registered in England and Wales. Company number 09751000.